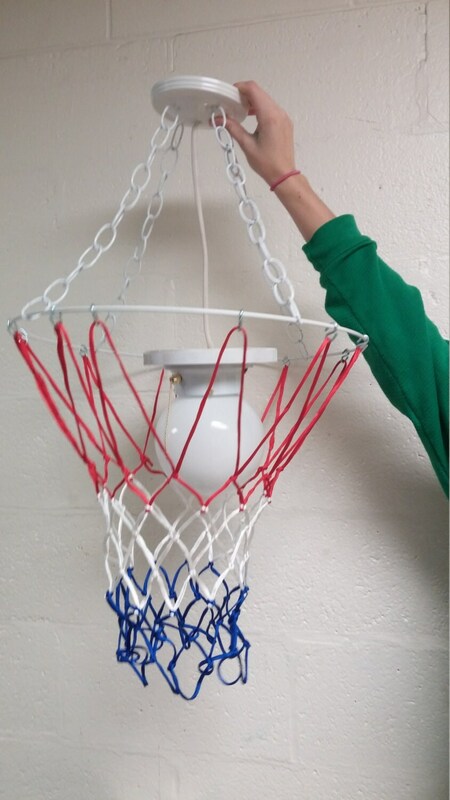 A standard size hoop (18 inches) with a red, white and blue net. The globe is 8 inches in diameter. The entire fixture is about 18 - 22 inches in height. Depending on how you adjust the length. These are made to order and will ship within 7 business days of ordering!